Emily Chadza is a teacher with 21 years of experience. Teaching had always been her dream, and eventually became her passion. Emily originally taught in Malawi’s capital city, Lilongwe. She left that position when her husband was transferred to Chikwina, in Nkhata Bay North district. 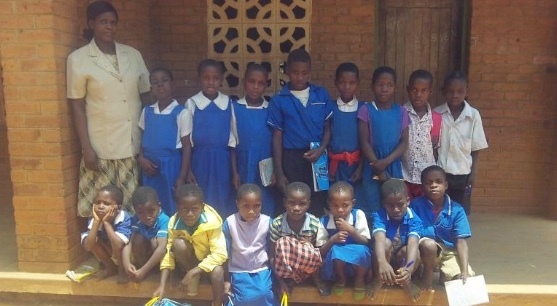 Emily joined her husband and is currently a teacher at the Chikwina Primary School, teaching Standard 2 pupils (generally 7 – 8 year olds, seen in the above photo). Although Emily tries to implement activities to promote literacy, she faces difficulty. Firstly, the class needs more resources such as alphabets charts and interactive flashcards. Secondly, due to the understaffing of schools, classes are now exceptionally large. Furthermore, Emily explained that this is a problem in all schools in Nkhata Bay North. In order to promote reading and writing, Emily was chosen by the head teacher of the school to receive training from Temwa to support Early Grade Literacy (EGL) which provides a crucial foundation to a child’s education. The training would involve learning how to start an after-school EGL based club for pupils, and guidance on how to use new educational materials provided. If you would like to help us continue our work with teachers like Emily and help children improve their literacy, consider either donating or fundraising for us.